VoiceGuide Outbound IVR Dialer is a fully featured dialling platform that delivers Best-In-Class customer interactions which can be customized for each individual contact. The platform can be used to implement all types of systems from simple message delivery to sophisticated Outbound IVR sessions, and ACD Predictive Dialling in Call Center deployments. 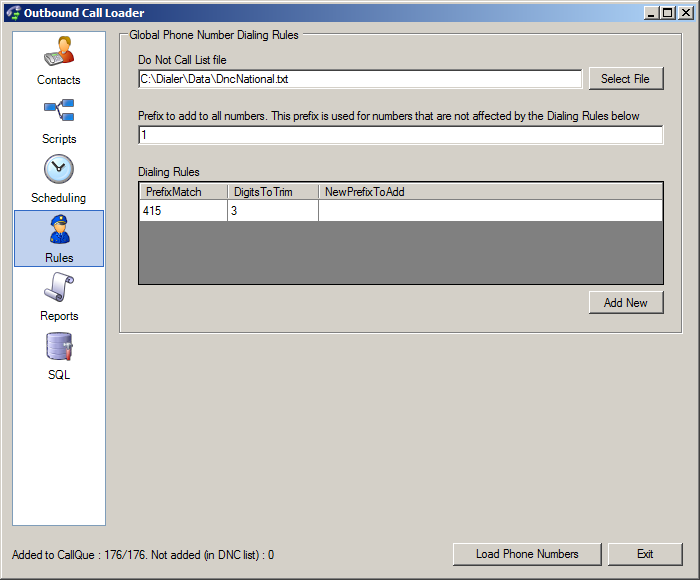 All call parameters are configurable on a per-call basis, and can be dialed using standard Autodialer or Preview/Predictive dialer engines if used as part of ACD system. Customer specific data can be provided when the call is queued, or can be retrieved by the Outbound IVR engine dynamically during the call. This allows for delivery of interactions that are aware of information from other channels, and able to engage other communication channels simultaneously to reach customer using an omni-channel aware approach. The Dialer can be integrated with CRM and other systems to perform the outbound customer interactions as required by them. External systems can also start outgoing calls using XML files, COM, WCF or WebService APIs (incl REST), or by loading the call details directly into a database. More information on initiating calls can be found here: Online Documentation - Dialer. 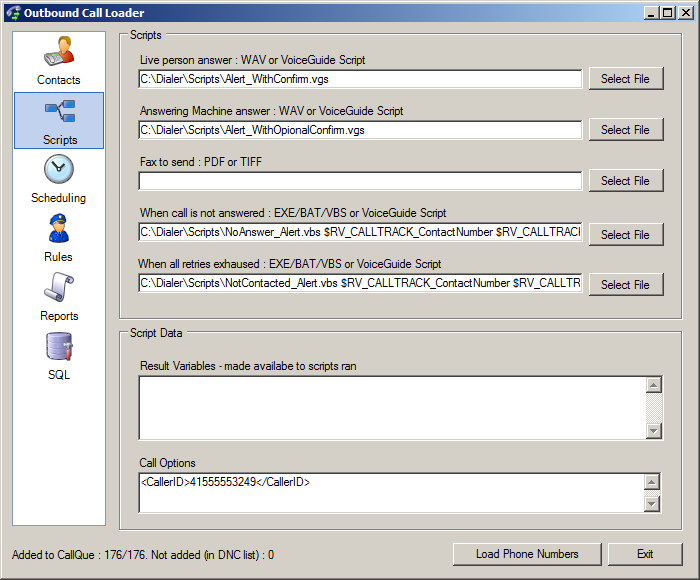 VoiceGuide Dialer can detect whether calls are answered by a Live person, or answered by an Answering Machine, and different scripts or sound files can be used depending on call answer type. Separate tasks or escalations can be started if calls have not been answered, or if retry attempts have been exhausted, etc. 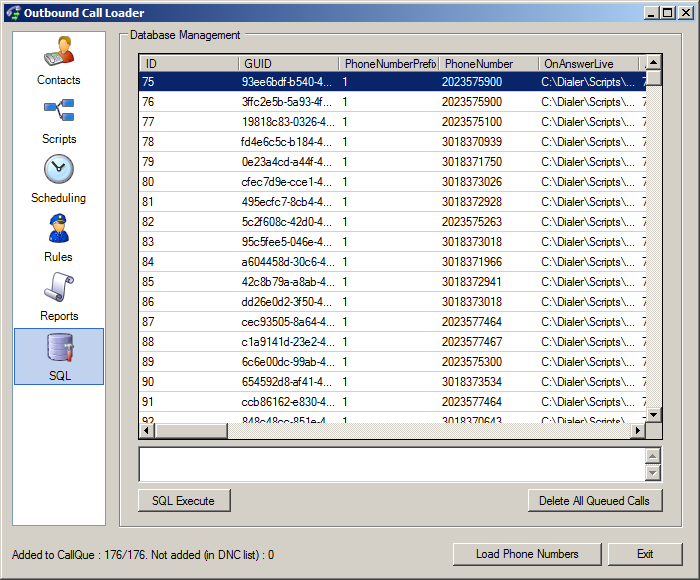 Call specific data can be attached to customize the behaviour of scripts, and to forward call-related information to VoiceGuide scripts or ACD agents. Caller ID can also be set on the outgoing calls. Outbound calls are made only within the specified times, and after the specified start time. 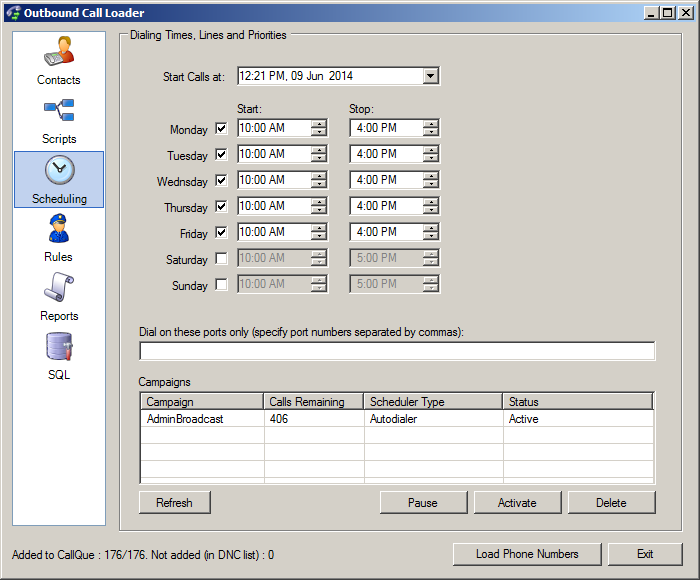 The times calls are made, and the channels/ports used for the calls can also be specified on a per-call basis or per-campaign basis. Tracking of dialling progress is provided, with the outcomes of each call updated live on the screen. Various reports of the calls made can be created and saved in PDF, HTML and CSV formats. 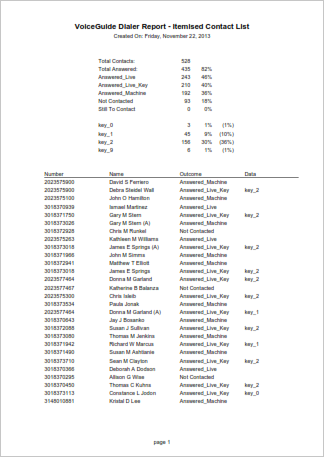 Here is a sample of one of the reports produced by the VoiceGuide Dialer. Simple to use intuitive interface. Automatic detection of a live person answering the call or answering machine using "Perfect-Voice" recognition. 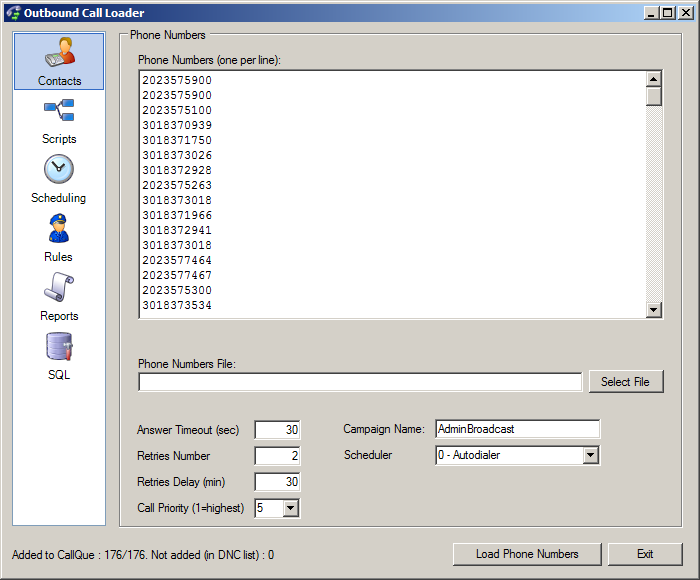 Fully configurable Outbound IVR scripting which can be customised on a per-call basis, and change dynamically during call. Supports integration with client's existing databases and systems to allow per-call tailoring of script used and the information delivered. 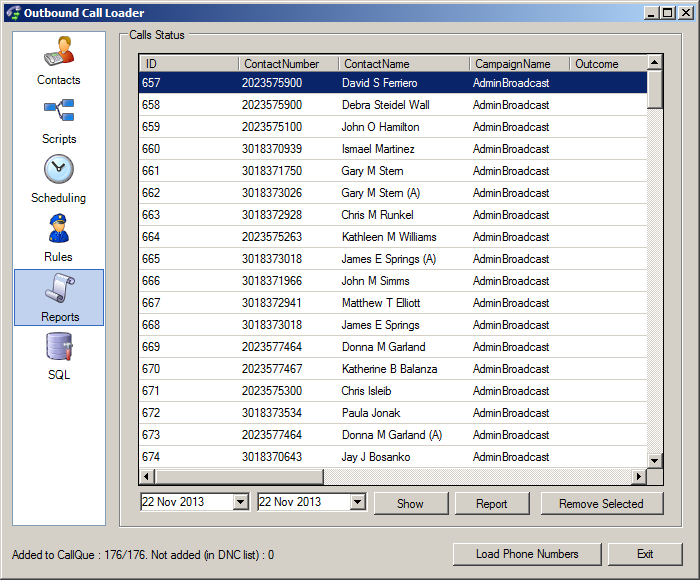 Supports 'Do Not Call' (DNC) list functionality. Works with full length USA DNC list. Supports automatic insertion of new call details from external programs/systems using a number of database/file/COM/.NET/WebService/etc. technologies. Can transfer calls to live agents from within the script. Flexible selection of screening and call transfer timing. Full control over message delivery scheduling, retries, escalation, etc. .